STAR WARS ON CROSSCURRENTS, 5/25 – Doggedly Yours… Howling, Humor, and History. STAR WARS ON CROSSCURRENTS, 5/25: Written and directed by George Lucas, the epic space film “Star Wars” was premiered on this date in 1977. 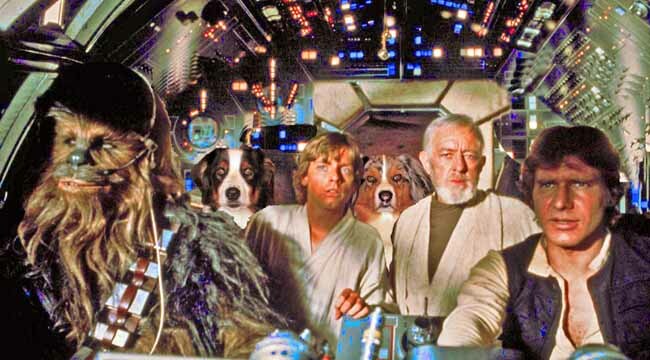 Gavin and Wyatt ride along with our heroes in the cockpit of the Millennium Falcon in an attempt to evade the evil empire. You are invited to bring your light saber along to join John as he channels “the force” for the Star Wars show on Crosscurrents, 5/25 at 8 a.m.